If you’re serious about Grooming, then you should seriously consider Peaches’ Grooming Parlor to Groom at. With almost 20 years of Grooming experience, we have learned that good Groomers are true artists (see Philosophy). You have a mental image of what you want your dog to look like when fully groomed and any disturbance during this process takes you away from this focus. That’s why we offer you full support allowing you to do what you do best---GROOM!! This allows you to produce your best finished work, a beautifully groomed dog that you’re proud of and our customer is pleased with----the best of both worlds!! Provide all the deposits & book work needed. 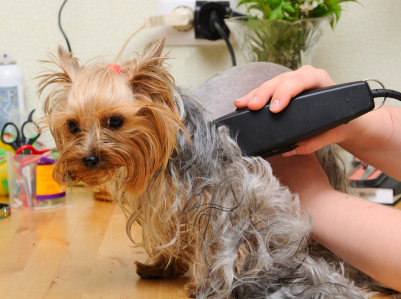 Remember, at Peaches’ all we do is Groom and by appointment only so you don’t have to sit around and wait; your time is totally productive and with less interruptions you’re able to groom more dogs---which means more income for less hours of work! Your dogs are waiting when you arrive and when you’re done—you can leave. 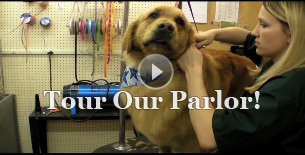 Our Facility is new and well maintained (see video above) with top-of-the-line equipment—some of it is custom designed for the Groomer’s benefit. Peaches’ provides proven marketing thru programs like Pre-Booking and Pass-the-Bone along with success oriented advertising allowing us to help you build and maintain clientele.